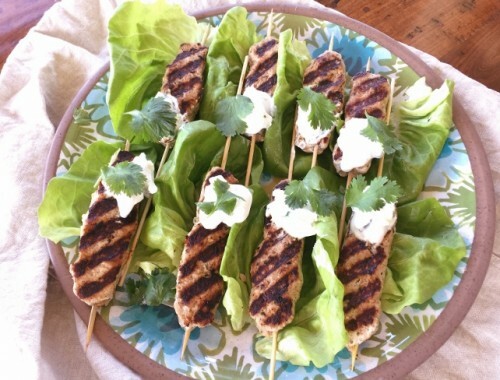 Grilled Turkey Tandoori Burgers (Sponsored Post) - Recipe! - Live. Love. Laugh. Food. 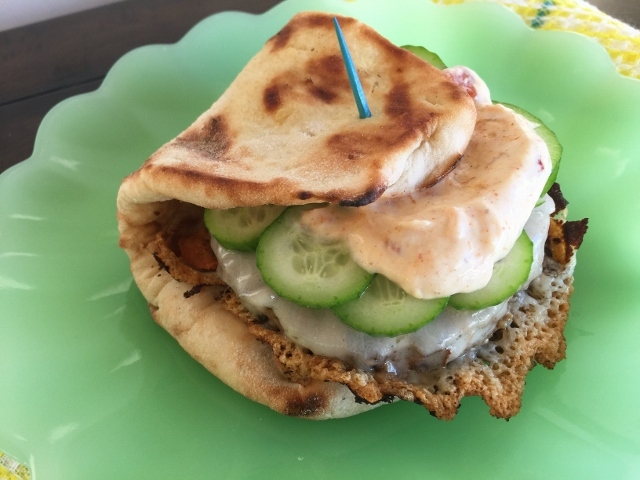 Grilled Turkey Tandoori Burgers (Sponsored Post) – Recipe! Summer begins this week, and burgers are one of my favorite things to grill. Burgers come in many varieties; beef, pork, chicken, vegetables or turkey and are all pretty enjoyable. 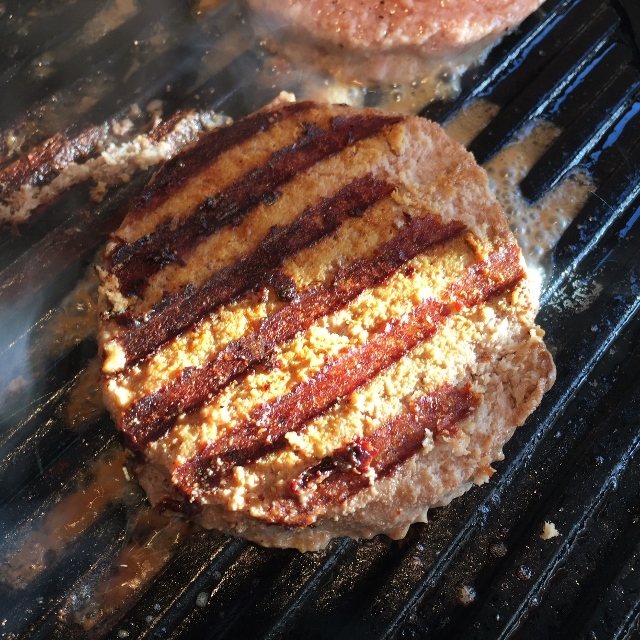 I tend to love a juicy turkey burger, especially during the hotter months of the year, they are tad lighter and make the perfect platform to add unique toppings. 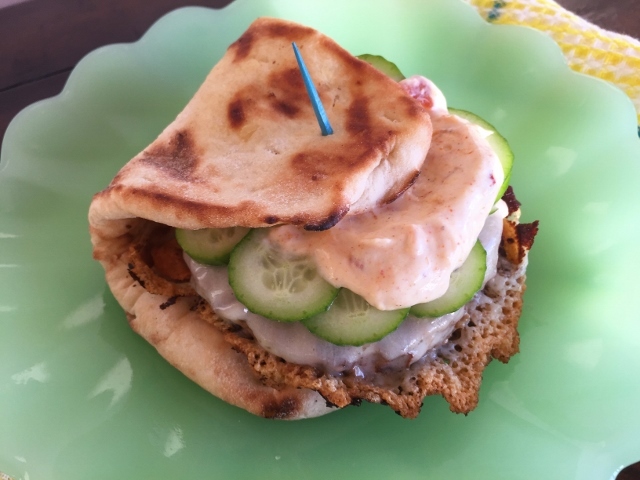 Grilled Turkey Tandoori Burgers are a lip smacking combination of a lean turkey patty, with Tandoori spices, freshly sliced cucumbers, and mango yogurt sauce. 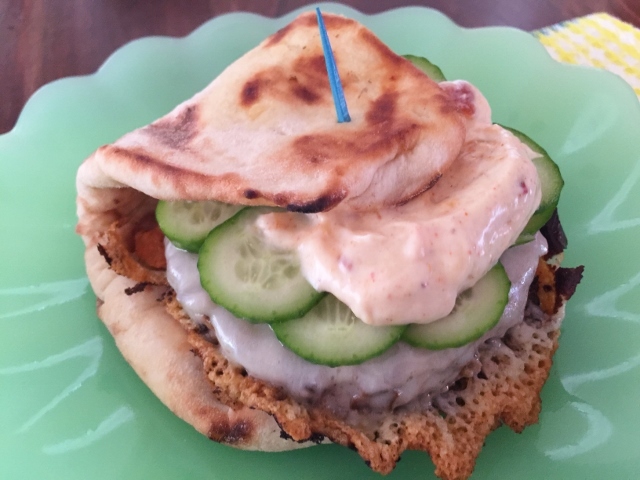 The entire burger is wrapped in grilled Naan, which is soft and supple, with a nice chew. 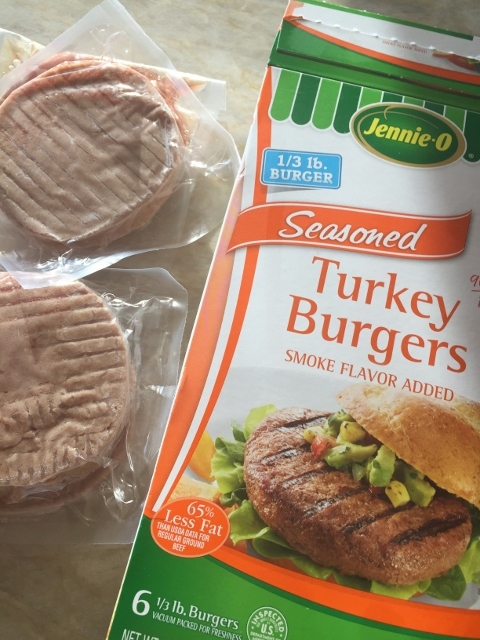 These turkey burgers are simple to make, especially if you use pre-made patties – the perfect weeknight meal. Also, they are super fun to serve at summer barbecues and parties with some homemade potato salad. So, go for it, and grill up some tasty burgers for dinner. 1. 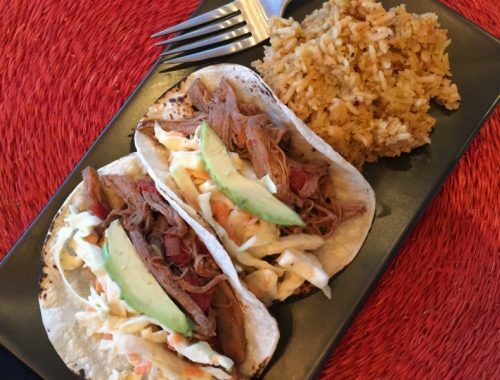 Heat your grill or grill pan to medium-high heat. In a small bowl combine, curry powder, onion powder, cumin and paprika. 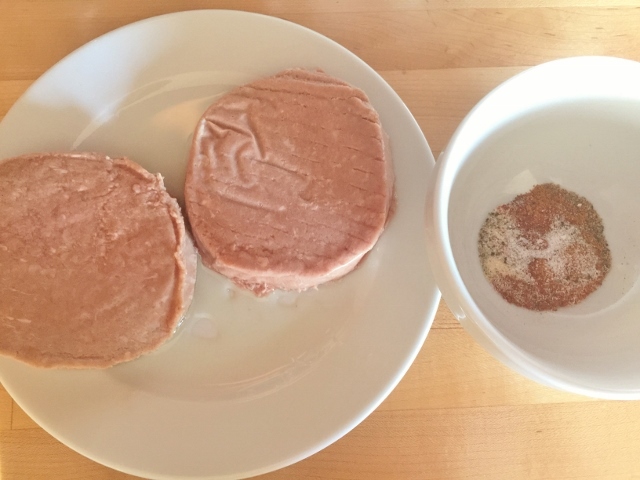 Remove the burgers from any packaging and sprinkle one side with seasoning. 2. 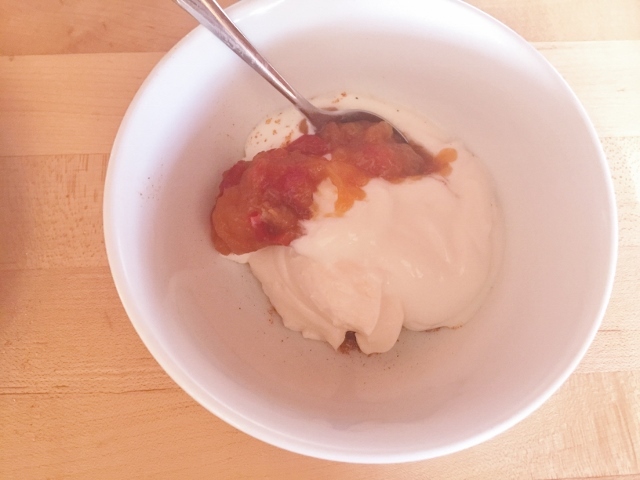 In a small bowl, combine all the mango yogurt sauce ingredients, stir. Place burgers on the grill and cook for 4 minutes. 3. Flip the burgers over and cook for 3 minutes, then place 1 piece of provolone on top of each burger. If using a grill pan, allow the cheese to melt gently over the meat, and create a crusty cheesy ring around the patty. 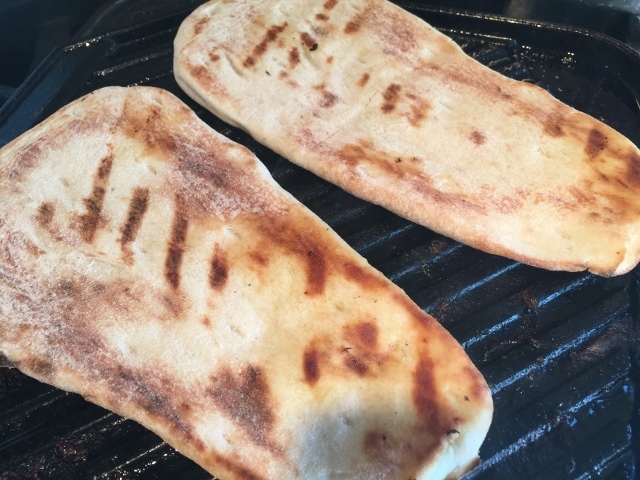 Place the Naan on the grill, and cook both the burgers and Naan for 3 minutes, flipping the Naan half way through cooking time. 4. Remove the burgers and Naan from the grill. 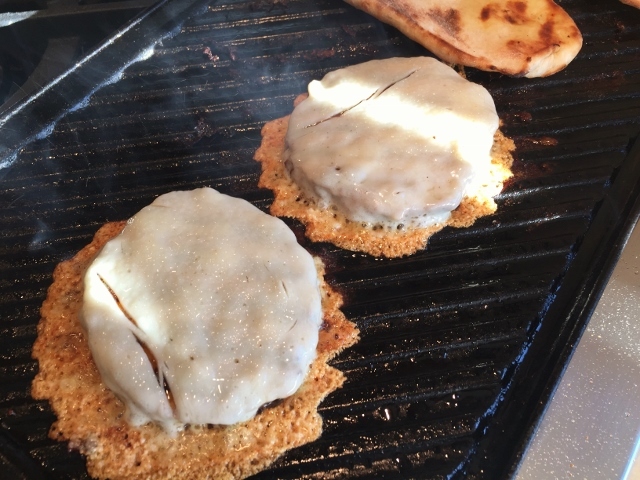 Assemble the Grilled Tandoori Turkey Burgers by placing on piece of Naan on a plate, and put a burger on top. 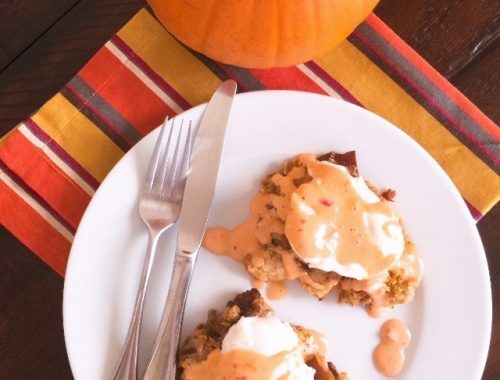 Layer with a few cucumber slices, and a dollop of Mango Yogurt Sauce, fold in half and secure with a toothpick, repeat. Enjoy!